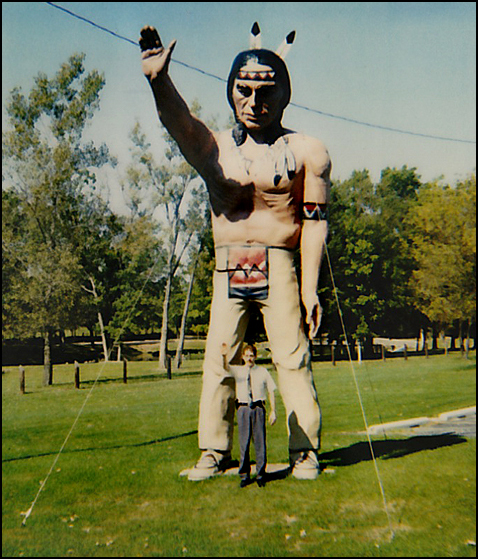 A giant ball of string, gargantuan effigies of Paul Bunyan and Babe the Blue Ox, Indian statues, giant prairie dogs, vibrant totems. 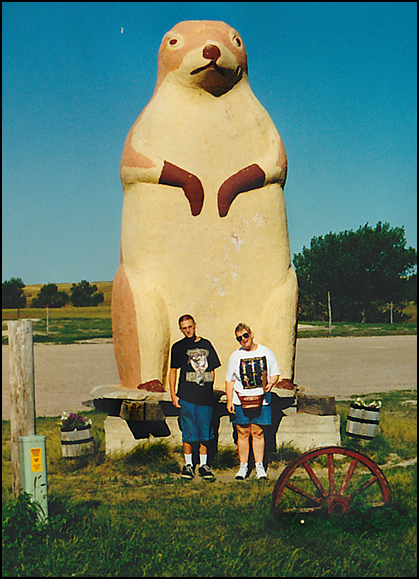 This list of obscure roadside attractions, along with countless others, could never be considered in the same influence as the “pinch of this” and “dash of that” held tight by the matriarch of the secret family recipe. Or could they? Tourist traps and oddities offer a unique flavor and memory to a lasting family road trip and traveling, in the same manner that familiar and cherished dishes provide the reminder of years past and experiences shared. Both are stored near the heart, laughed about, shared with loved ones and pulled out of storage occasionally to relive a moment. In our family, culinary imagery started with a bounce on the knee and stories of adventure through foreign lands of jungle, desert, mountains, and stormy seas. Photos and descriptions of those unique or odd sights, sounds, smells, and tastes brought to life the memories that I carried with me from my time in the Marine Corps. The sizzle of fresh shrimp fried rice as it hit a red hot wok, steamy bowls of soba on the back streets of Kunigami Okinawa, or the crunch of fresh bean sprouts meshing with noodles and yakisoba sauce at a café in Japan were all called upon to illustrate the diversity of what’s considered tasty. Slip a smoked clam on a cracker with a touch of Tobasco during the story, and the little eyes of my boys would gleam with the adventure of taste, aroma and texture. The hope was that someday they would shed the staples of mac and cheese or PB&J for sushi, Greek, Italian and other eclectic cuisines of the world. The same Marine Corps that transported me to the Far East also sent me to the West Coast and Camp Pendleton. As many of you know, California grows a bounty of produce and food desired by much of the world. 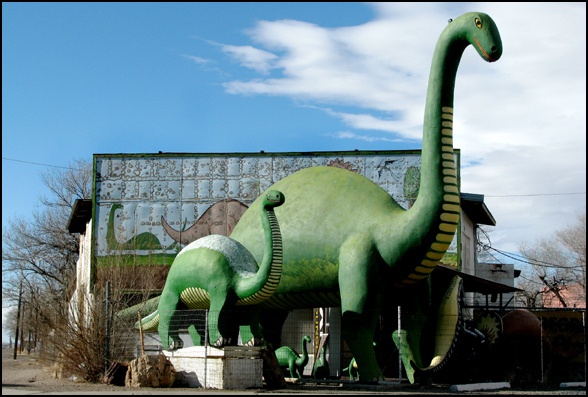 It also offers the food equivalent of a well marketed fiberglass dinosaur; California Medley. Arguably, California produces the king’s share of the aforementioned vegetables, allowing Chefs across the country to catalog steamed and parboiled concoctions, balancing a plate laden with beef, fish, or poultry. The Medley, as mentioned, is a unique oddity unto itself, as I have yet to wander down the frozen food aisle and see a bag of Indiana Corn, South Dakota Succotash, or Oklahoma Okra. Nor have I found a bag of frozen chopped veggies in markets from San Diego to San Francisco simply labeled Medley. I’m sure a similar comparison of Brazil nuts in Brazil is warranted. 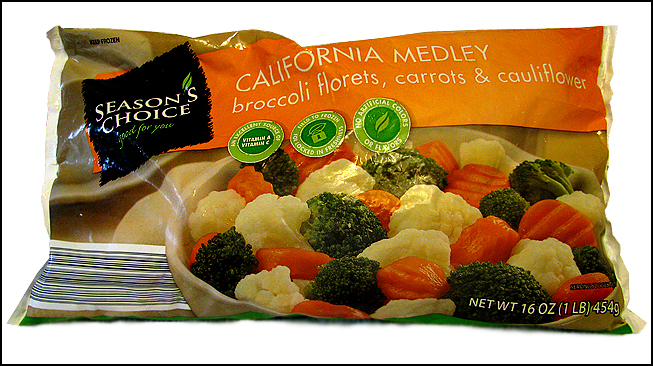 Dissecting a bag of our frozen Medley delight often reveals a ratio of two to one broccoli stems compared to florets, balanced by a mixture of carrots and cauliflower. The blend may not be as exotic as the previously referenced meals, but with zero fat, low sodium, and a tasty dose of vitamin C, our frozen friends are a great supplement to the workplace lunch or quick supper after a long day. With a little Shabby Chic gourmet ingenuity, a pinch of pepper, dash of garlic powder, a dab of butter and a short dance in the microwave, the flavor and texture of The Medley awakens from cryogenic slumber. 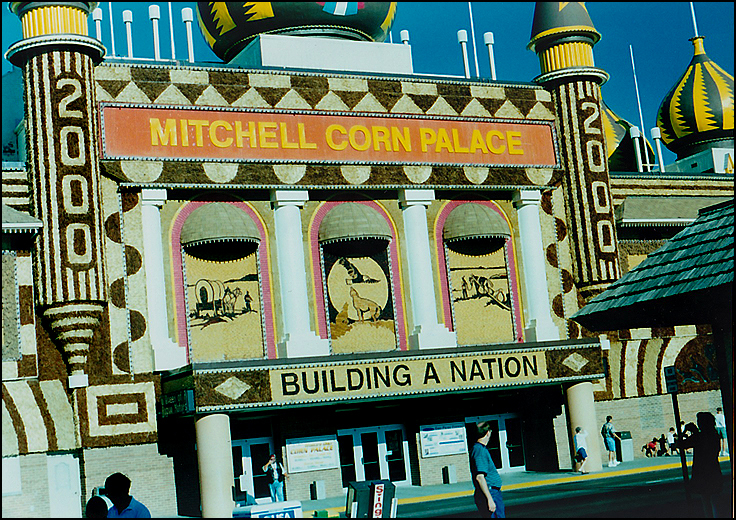 And just like the photo of a palace made of corn cobs or a batch of Grandma’s family-famous cookies, The Medley awakens the memories of days and trips gone by. Regardless whether you call it California Medley while in the state of its namesake, or simply The Medley, pull off to the side of the food road and enjoy the charm of this culinary tourist trap. All the leaves may be brown and the skies grey here in the Midwest, but California dreaming is a microwave beep away at ¾ cup per serving. 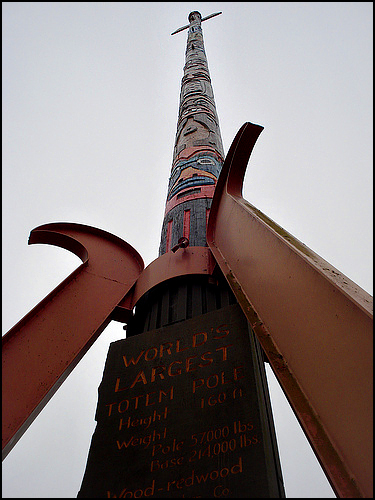 And if you shop at the Safeway in McKinleyville, take some time to appreciate the 160 foot totem in the parking lot! Find other cool oversized landmarks at The Big Stuff Project. *Yohan Eleztnik is an Indiana native with an affinity for the obscure, a great sense of humor and a strong family value. We grew up watching him in the kitchen, whipping up dinner with a few simple ingredients and enjoyed more than a few portions of California Medley. If there’s one thing we learned from him beyond an appreciation for a good meal, it’s to not take things too seriously and to enjoy a good laugh whenever possible. 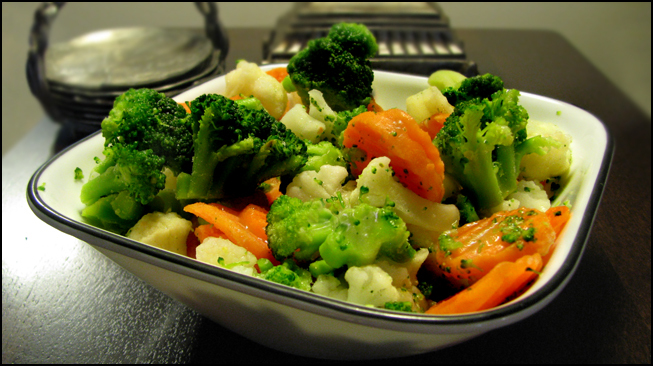 Gallery | This entry was posted in Food Adventures, Food Vibrance and tagged Broccoli, California Medley, Carrots, Cauliflower, Tourist Trap. Bookmark the permalink.